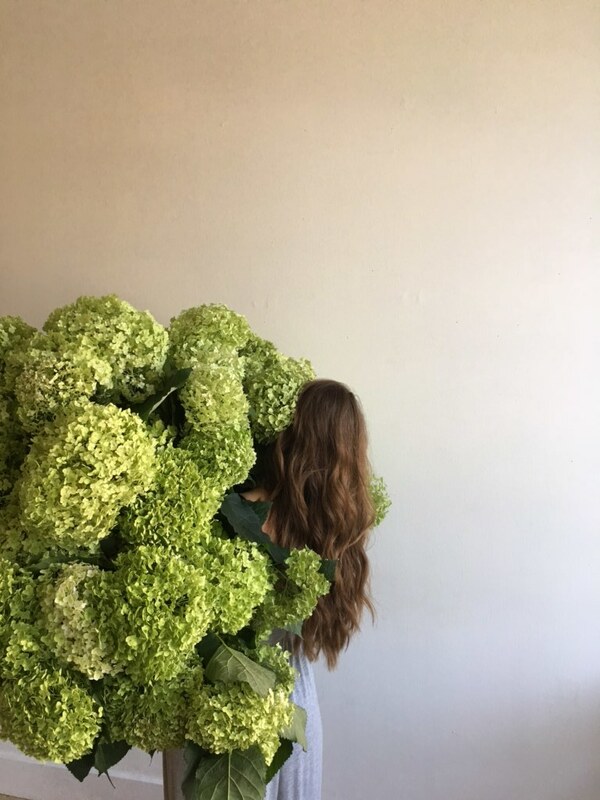 Confessions of an Evergreen Florist: Part I — EVERGREEN FLOWER CO.
More than once I have been at a social gathering making small talk with vague strangers who, upon hearing that I am a floral designer, have informed me in some way that they would just love to be a florist. And while I do love my job, I am here to report that it isn't all glamorous. I'm looking at you, Chelsea Peretti (and your Netflix stand-up bit about having a serene florist dream-job). So here's Part One of the dirt on being a florist at Evergreen. Although we are not a flower shop, we get a lot of traffic in our studio and constantly hear about how good it smells. And we can't smell it...unless it's a rotten water bucket. Unfortunately we are nose-blind most of the time to the sweet scents of product. But every now and then, we stop to smell the Rose Girl roses and can actually smell them! We do a lot of cleaning. Being a florist means getting your hands dirty...And all the work surfaces, and the floor (since it's our trash can). Scrubbing buckets, breaking down boxes, taking out trash, washing vases, organizing vessels, SWEEPING. It never ends and we spend a shocking amount of time cleaning. We care about pushing the boundaries of floral design and about making art for our clients (not just flowers in a vase). We discuss and care about all of the details that affect each event as a whole. This means that we create mood boards with our clients, sketch designs, and fight to understand their vision. And if you've worked with us or followed what we're doing, you've probably seen this. But what you don't see is us taking designs apart and starting over, us striving for exactly what our clients want, us working late and coming in early or never even going home. What we create means a lot to us and we care about quality. What may be obvious to you at this point is that this work is draining. It's not exactly "serene" or "zen" but it is hard work that we love. 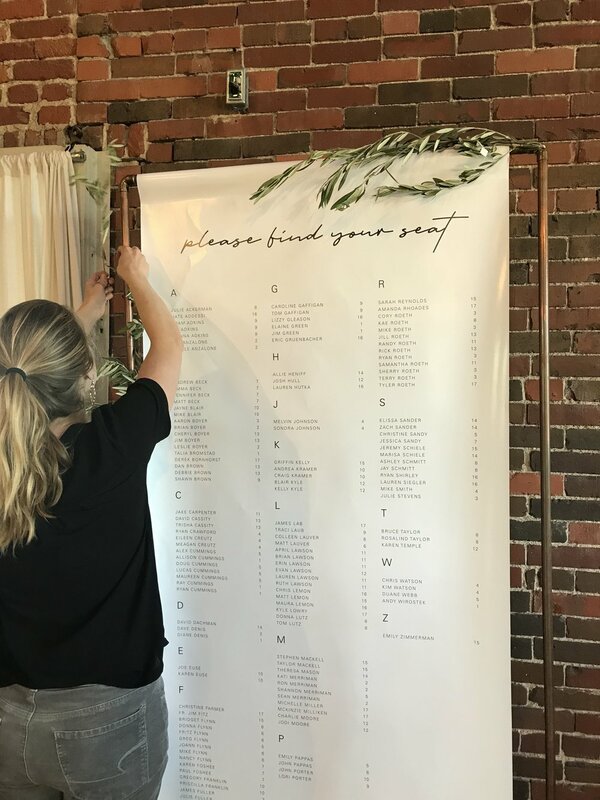 When we aren't designing, or meeting with clients, or doing paperwork or timelines, or placing orders, or CLEANING, we are doing manual labor. This means lifting heavy buckets, processing product, loading and unloading the elevator, loading and unloading our vehicles, setting up for events, climbing on ladders (and falling off ladders), coming back late to clean up events, etc. Those who work in a creative field will tell you how emotionally taxing their work is, so add on the physical aspect of manual labor and mental aspect of problem solving (and math, ew! ), it's safe to say that the floral design occupation meets the trifecta of fatigue.